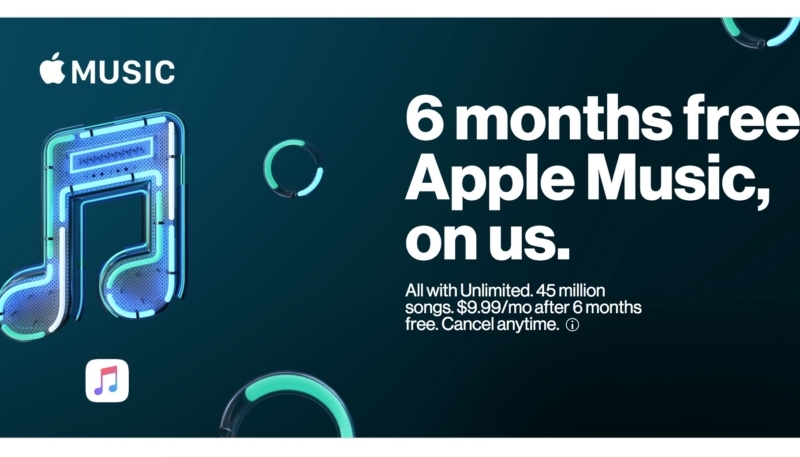 Verizon Unlimited plan customers can now sign up for the free six month Apple Music subscriptions that were promised last week. On iPhone and Android devices that already have the app installed will open it to the subscription options for the service. On devices where the app is not yet installed, the iOS App Store or the Google Play Store will open to download the app. The Apple Music deal is available to Verizon subscribers on any of its “Unlimited” plans, including Verizon Plan Unlimited, Go Unlimited, Beyond Unlimited, and Above Unlimited. Verizon customers that are already Apple Music subscribers can take advantage of the free six-month trial offer, but will be instructed to cancel their current subscription to avoid being double billed.